Kevin Hassett, the chair of the Trump administration’s Council of Economic Advisers (CEA), wrote an op-ed in the Wall Street Journal this week mounting a defense of the Tax Cuts and Jobs Act (TCJA)—the tax cut passed by congressional Republicans and signed into law by the president at the end of last year. It starts out badly, railing against “leftists from Marx to Piketty (?! )” and doesn’t get much better from there. It is an objective fact that the cut’s direct benefits are extraordinarily regressive, with 83 percent of these benefits going to the top 1 percent of households when it’s fully phased-in. 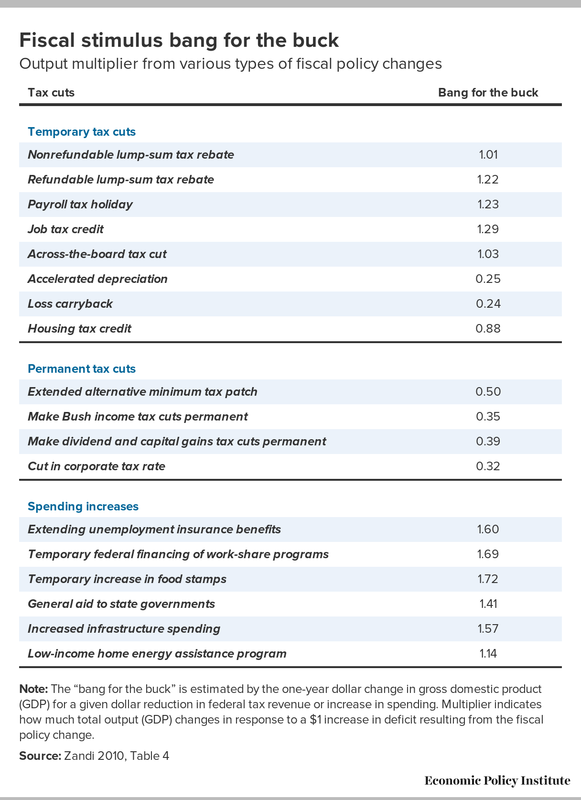 Most of this regressivity is due to the very large cut in corporate taxes enacted as part of the TCJA. 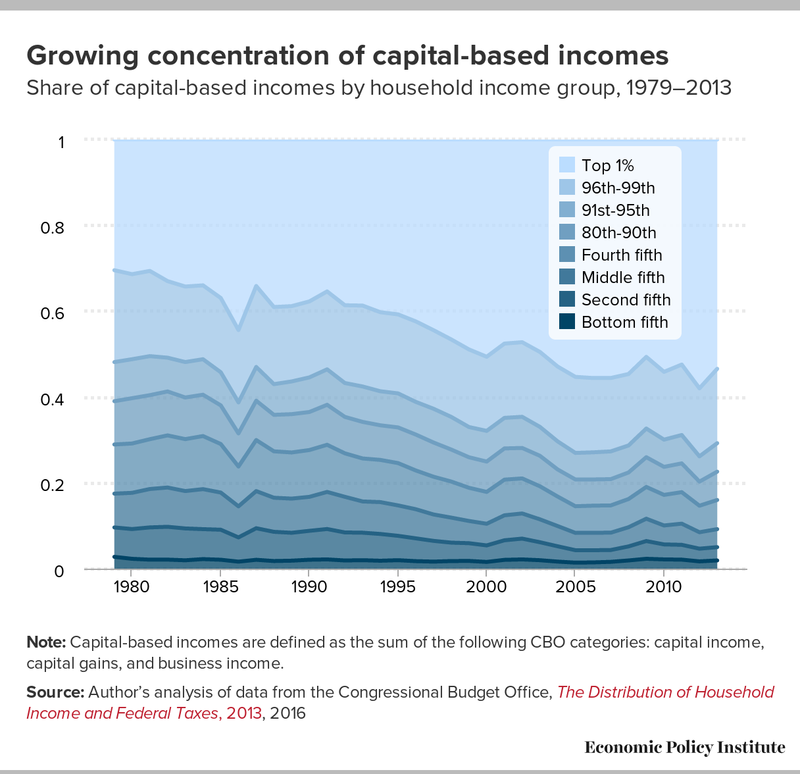 Ownership of corporations, and capital assets generally, is extremely concentrated in richer households, so, the direct effect of cutting taxes on capital is to funnel money to the top. Set aside for second that in recent decades as profits and corporate managers’ salaries rose rapidly, the pay for typical workers didn’t. Even on its own terms, this claim that capital investment responds strongly to high profits is impossible to square with Hassett’s scorn for the performance of investment during the Obama administration. (“For perspective, real private nonresidential fixed investment was anemic at the end of the Obama administration.”) It’s hard to square because during these same years when capital investment really was weak, profitability of corporations was historically high. 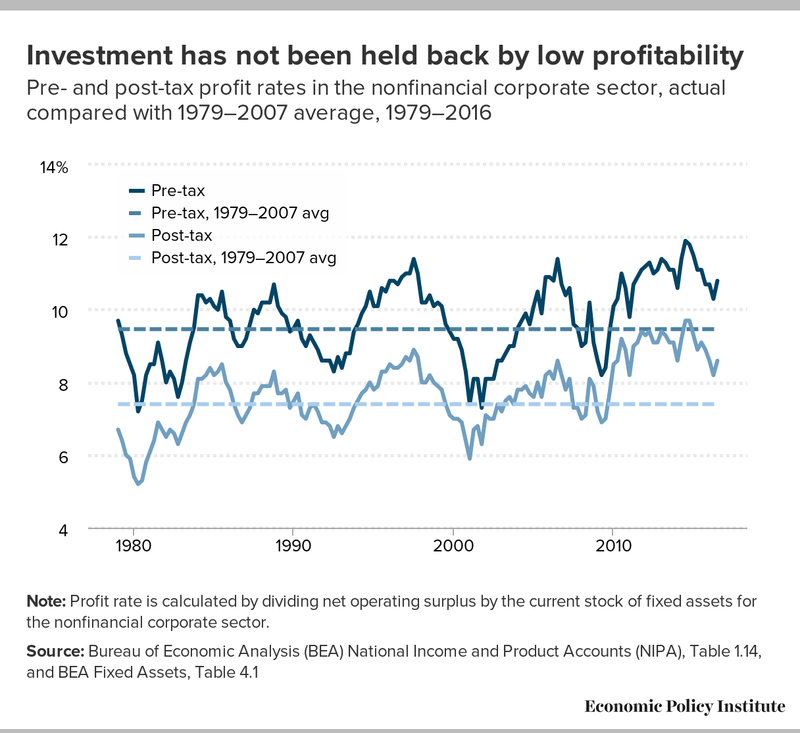 In short, it just cannot be the case that low after-tax profitability was a binding constraint on capital investment and economic growth in recent years because profitability was not low, it was high. Further, it’s worth lingering a bit on the data point he trumpets as proving the TCJA’s effectiveness in spurring investment. He points to the 6.3 percent year-over-year increase in real, private nonresidential investment. We plot this on the graph below—you tell us if you think this last data point (which is what Hassett is huzzahing about) looks like the TCJA (or anything else) has been a game changer in driving investment. 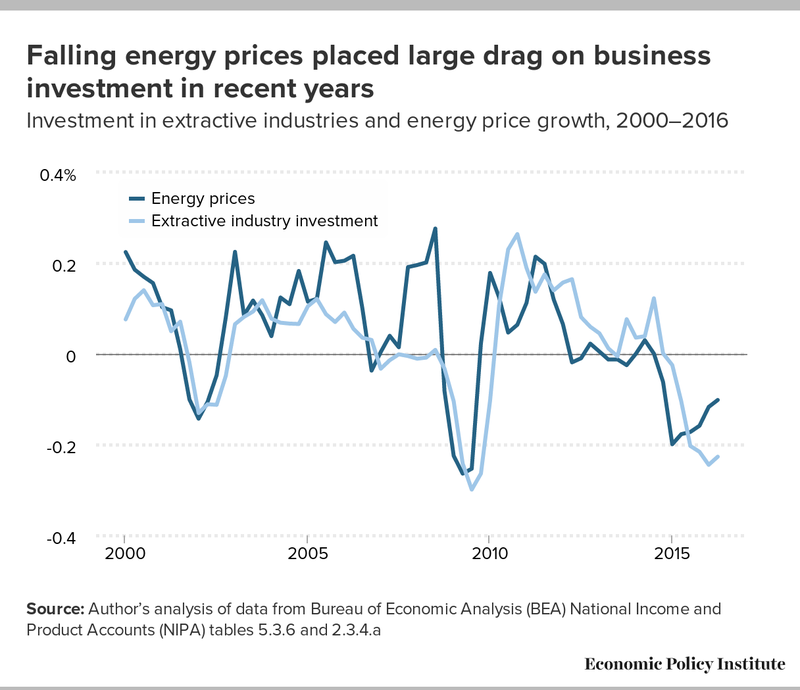 Even Hassett’s scorned Obama-era recovery routinely saw growth higher than this, and the 2014–2016 weakness apparent on this graph was driven in large part by falling oil and gas prices reducing extractive investments. Hassett’s attempt to dragoon the research by Obama administration economists Alan Krueger and Larry Summers into service arguing for the Trump tax cut is embarrassing. To start, their work that he is referencing is from the 1980s, so it’s relevance to today’s debate seems distant at best. Further, this work is explicitly about how the labor market is not perfectly competitive in the way needed for Hasset’s claims about productivity seamlessly translating into wage growth to hold. Finally, the causality of their argument runs from higher wages to higher profitability, not the other way around. No less embarrassing is his attempt to claim that every positive economic development in the past 6 months is a function of the TCJA. For example, we’re told that businesses invested more in the last quarter of 2017—before the TCJA was passed—because they somehow knew its architects would make some of its provisions retroactive. An economist blessing retroactive tax cuts as a way to change behavior is an intellectually bold move, but not one we think will stand up as smart over time. He also notes that lots of firms announced raises and bonuses in the 6 months following the TCJA. But this happens every day in the American economy. In a normal year, about 40 percent of workers get bonuses. Further, the labor market has been steadily improving for the last eight years, and a number of states have announced minimum wage increases over that time. Both the tightening labor market and minimum wage increases finally put some upward pressure on wages in 2017. The marginal effect of the TCJA over and above these other predictable influences is still impossible to estimate with the data we have on hand. What is in the data is proof that Hasset’s claim about the historic experience of other countries that have reduced corporate taxes is wrong. He claims that the wildly large CEA estimate of wage increases stemming from the TCJA is “based on what has happened around the world”. But we’ve looked at the data on corporate rates and capital investment across countries before, and it actually goes the wrong way—with lower corporate rates actually associated with lower investment. This relationship isn’t statistically significant, but it’s safe to say that a good estimate of the TCJA effect on capital investment will be zero. Finally, he notes that economic forecasters have explicitly mentioned the TCJA in raising their growth estimates for 2018 and 2019. But this has next-to-nothing to with the mechanisms he discusses in his op-ed (greater post-tax profitability boosting the incentive to make capital investments). Instead, it’s simply the result of the fiscal stimulus the TCJA provides in the short-run. It’s a deficit-financed tax cut that puts lots of money in the pockets of (some) people. Some of extra money will surely boost aggregate demand. But you could have had about five times as much stimulus for the same budgetary cost if you instead undertaken infrastructure investment or directed the tax cuts towards low and moderate income households. In short, the TCJA is bad stimulus, and will likely to nothing for long-run growth or workers’ wages. That’s what the past evidence indicates, anyhow. And there’s no data yet that allows us to overturn these expectations, despite what this deeply misleading op-ed in the Journal would have us think.